Hanif Kureishi grew up in Kent and studied philosophy at King's College London. His novels include The Buddha of Suburbia, which won the Whitbread Prize for Best First Novel, The Black Album, Intimacy and The Last Word. His screenplays include My Beautiful Laundrette, which received an Oscar nomination for Best Screenplay, Sammy and Rosie Get Laid and Le Week-End. He has also published several collections of short stories. 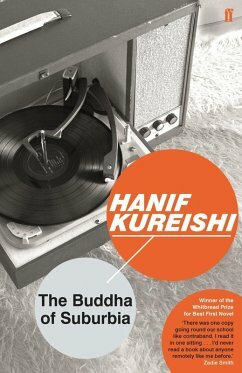 He has been awarded the Chevalier de l'Ordre des Arts et des Lettres and been translated into thirty six languages., Hanif Kureishi was born and brought up in Kent. He read philosophy at King's College, London. In 1981 he won the George Devine Award for his plays Outskirts and Borderline, and in 1982 he was appointed Writer-in-Residence at the Royal Court Theatre. In 1984 he wrote My Beautiful Laundrette, which received an Oscar nomination for Best Screenplay. His second screenplay Sammy and Rosie Get Laid (1987) was followed by London Kills Me (1991) which he also directed. The Buddha of Suburbia won the Whitbread Prize for Best First Novel in 1990 and was made into a four-part drama series by the BBC in 1993. His version of Brecht's Mother Courage has been produced by the Royal Shakespeare Company and the Royal National Theatre. His second novel, The Black Album, was published in 1995. With Jon Savage he edited The Faber Book of Pop (1995).